Sparky-UK : Derek and Mark Stevens, Aerial Installers We are a father and son business with over 40 years experience between us, offering a friendly, personal, high quality aerial install, satellite installation and repair service in the Cheltenham, Gloucestershire area and beyond. Whether you need your TV retuned, complete new aerial installation or repairs, satellite installs or re-alignments, from start to finish we can help. We supply and fit only the best aerials and satellite equipment. Aerial and satellite work is not all we offer, our other services including extra TV points for both aerial and satellite, TV wall mounting, telephone extensions, broadband WiFi and ethernet (CAT5/CAT6) extensions. We cover Cheltenham, Gloucester, Tewksbury, Cirencester, anywhere in the Gloucestershire area and beyond. Fully insured and guaranteed. 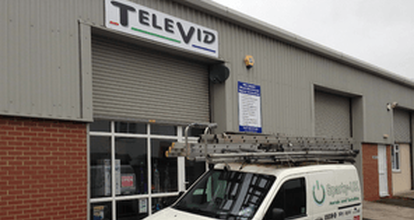 ​Your first point of call for aerial installation and satellite repair in Cheltenham. At Sparky-UK we offer many services relating to and including TV aerial installation and satellite install. Over the years we have fitted and installed 100's of aerials and satellites in Cheltenham but that is not all we offer to do. Our other services include, extra TV aerial, satellite or telephone points and sockets. Television and equipment collection, delivery, installation, setup, TV wall mounting, tuning and demonstration. Foreign satellite installation and alignment. Full Sky and Freesat installation including hardware, setup and Sky Link installation allowing to watch all your Sky channels at no extra monthly charge. With more and more devices offering streaming and catch-up services. such as Smart TVs, we carry WiFi range extenders, HomePlugs and CAT5/CAT6 ethernet cable to make sure your equipment is connected to the internet.